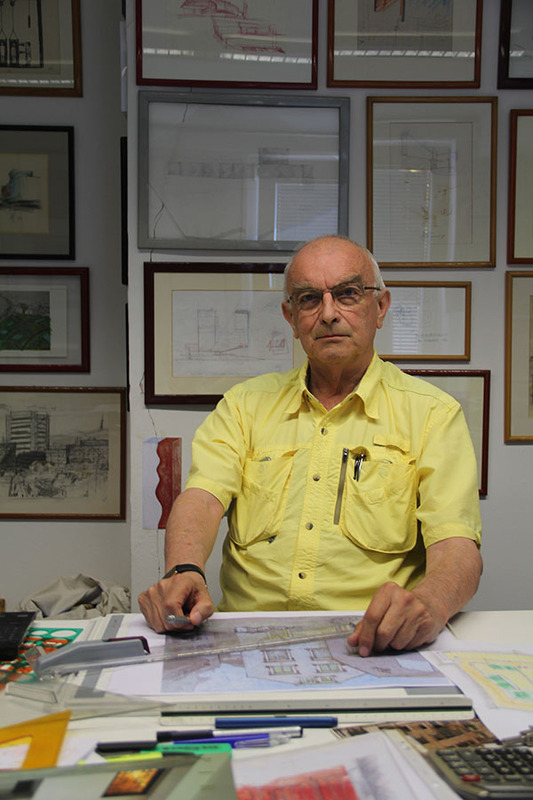 Branko Silađin is one of Croatia’s best-known architects of the generation that is today already the older generation. 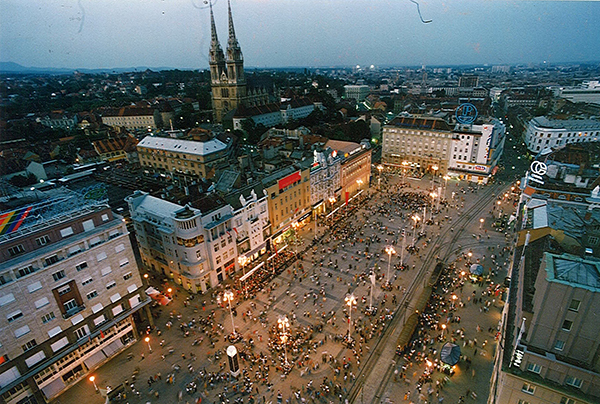 He commenced his architectural design career in the 1960s, first in Germany, but after returning to Zagreb he has worked mostly in Croatia. In 1992, he formed a studio together with architect Tomislav Odak, and in recent years he has continued working in the same studio on his own. 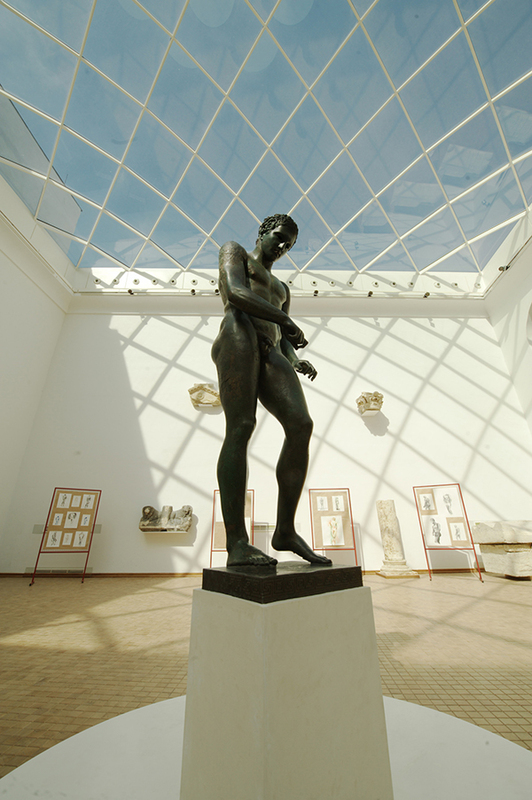 His most high-profile works include the renovation of Zagreb’s main square Trg bana Josipa Jelačića and the Lapidarium of the Zagreb Archaeological Museum. The interview was held in May 2016 in Volosko near Opatija, where Silađin retreats from the bustle of Zagreb to the creative Mediterranean environment during weekends. Piranesi: How did your long-term friendship with Vojteh Ravnikar, your active participation in the Piran Days of Architecture and the initiation of the Piranesi Magazine come about? Branko Silađin: I was the editor of the magazine “Man and Space”, and at the end of 1982 Zagreb hosted an exhibition by the AB magazine entitled “Architecture + Word”. On that occasion, a large delegation of the editorial board came, as well as the very dynamic and productive young Slovenian architects gathered around the Karst Group. Everybody was there: Janez Koželj, Aleš Vodopivec, Andrej Hrauski, Jurij Kobe and many others, including Vojteh Ravnikar. There were more of them than there were visitors at the opening. Finally, I ended up with the core group at a restaurant, where we ate, drank and found a variety of topics for wasting common youthful energy. The seed of friendship that has lasted until this day was sown. My friendship with Vojteh was more intense, motivated by our common belief in the efficiency of information and socialising as a basis for the fruitful advancement of architecture and architectural thought. By actively participating in and supporting the announced gathering associated with the exhibition of the Karst Group in Portorož (I practically took Šegvić by the hand), which took place in November 1983, I started my longstanding (29, almost 30 years) active presence at the thus created “Piran Days of Architecture”. In 1986, I was invited to join a group of architects working on the reconstruction project of Arsenal for the 17th Triennial Exhibition. The group led by Semerani also included Vojteh, and during our frequent and long journeys to working weekends in Venice we had long conversations in which we encouraged and developed Vojteh’s idea of the creation of a magazine that would enhance the efficiency of the activity inspired by the Piran Days of Architecture. That is how Piranesi, whose first issues came out only as late as 1992, emerged. I left my mark in the subtitle, which reads “magazine for the culture of environment”. I insisted on the concept of the culture of environment because at the time I believed – and I am an even stronger believer today – that this is the only remaining real role of architectural activity. 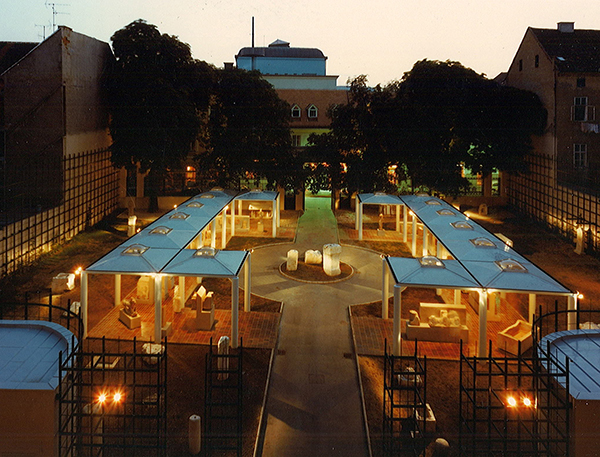 Following Vojteh’s initiative in 1989, the Piranesi Award was also established, and the first award winner was Bogdan Bogdanović. Inspired by the first awarded work, I designed the award that was conferred until the funds for its rather complex production ran out. The base was of bronze, the pedestal of plexiglass, the cone of stone, and the top of polished steel. With its mastery of design and use of materials, the award symbolised the completeness in the execution of the task, the function and the message conveyed by the work of architecture. The Piran Days of Architecture were traditionally accompanied by an exhibition; projects were also exhibited prior to the establishment of the award. The organising committee was responsible for the selection, hence I actively proposed the works from other parts of Yugoslavia, given that I was better informed about topical production as the editor of “Man and Space”. There were no clans or interest groups; belief in collectiveness formed a basis for the imagined and desired success of architectural activity. This is difficult to explain and achieve realistically from today’s perspective. After the prize had become established, there was a need for selectors in individual countries; I thus automatically become the selector for Croatia, although the organising committee often defined and corrected the selection. Quality is, of course, the basic criterion, but the specificity in the selection of the prize (the jury consists of lecturers and is in session for just one evening) is coupled with the unpredictability of the jury’s criteria; hence, the selection – if we look at it today – is often bewildering. For example, Bašić’s organ, the crosses on Kornati and a memorial bridge by 3LHD Architects in Rijeka were not awarded, to name just a few non-selections. However, I still regret the rejection of a number of my concrete proposals for the transformation of the Piran Days of Architecture into an accompanying event of the “Piranesi” Award as a Central European award for the culture of space. Held under the auspices of the EU and the participating countries, the jury members would, according to my proposal, be appointed by the respective ministries of culture and would act as lecturers at the lively but topical Piran Days of Architecture. Vojteh’s silent departure and the complicated situation in society prevented us from taking this direction, despite the general verbal approval. I still have my regrets because of it. Nonetheless, I still believe that the time will come for such a realistic perception, and that by taking small steps we nurture the basic quality of life in the city. The complete article is published in Summer issue of Piranesi No. 38 Vol. 24.